Nowadays, wound dressings serve as advanced skin products, which mainly aim to accelerate the wound healing process. The wound dressings with a potential of localized and prolonged release of therapeutic agents have attracted tremendous attention. 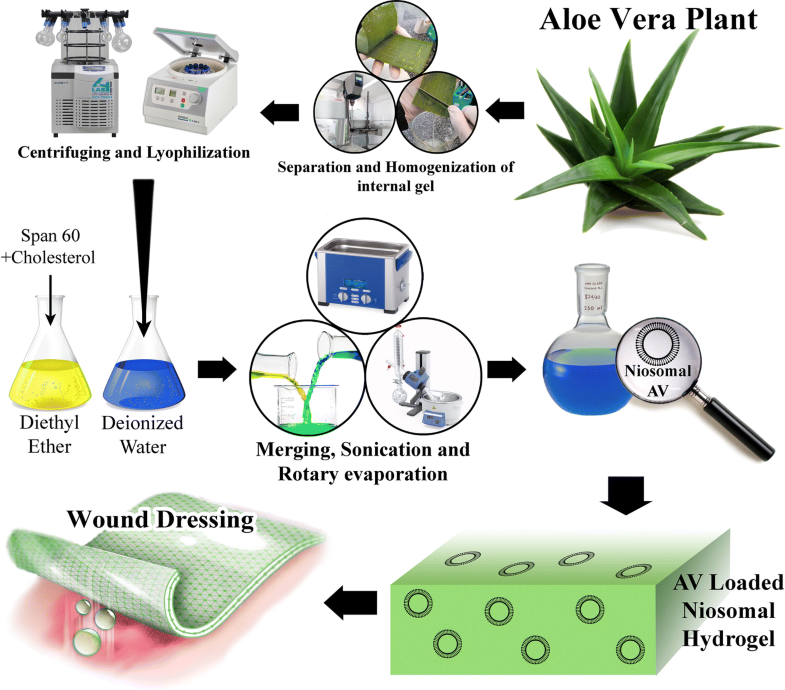 In this study, synthesis of a sustained release of niosomal Aloe vera (AV) loaded in alginate/gelatin (AG) hybrid hydrogel is aimed at improving skin regeneration as wound dressing. For this purpose, AV-loaded niosomes are synthesized and incorporated in the hybrid AG hydrogel. The size and polydispersity index (PdI) of niosomes, AV entrapment efficacy and AV in vitro release are characterized. In addition, the hydrogel characteristic, such as swelling ratio, degradation behavior and mechanical property, are studied. MTT assay is utilized to evaluate the effect of AV incorporation and release on the proliferation of fibroblast cells. Results demonstrate that size, PdI and EE% of AV-loaded niosomes are 270.080 nm, 0.108 and 42.039 ± 4.090%, respectively, and in vitro release of AV is about 20% after 7 days. AG hybrid hydrogel loaded by niosomal AV shows an extended sustained release manner, where its swelling ratio and percentage of degradation are 60 wt% after 72 h and 70 wt% after 6 days, respectively. 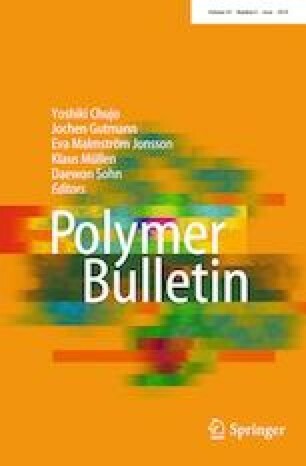 The average Young’s modulus of the hybrid hydrogel is measured around 12.64 ± 1.3 kPa, which seems suitable as a wound dressing. Finally, MTT assay confesses an increased fibroblast proliferation in the presence of AV, particularly in the niosomal AV-loaded hydrogel. Concludingly, alginate/gelation hybrid hydrogel incorporated with niosomal AV, with sustained release potential can be suggested as a promising candidate for wound dressing applications. The authors would like to thank Mostafa Rabbani and Masoud Babaei for their assistance in providing some materials for this research.